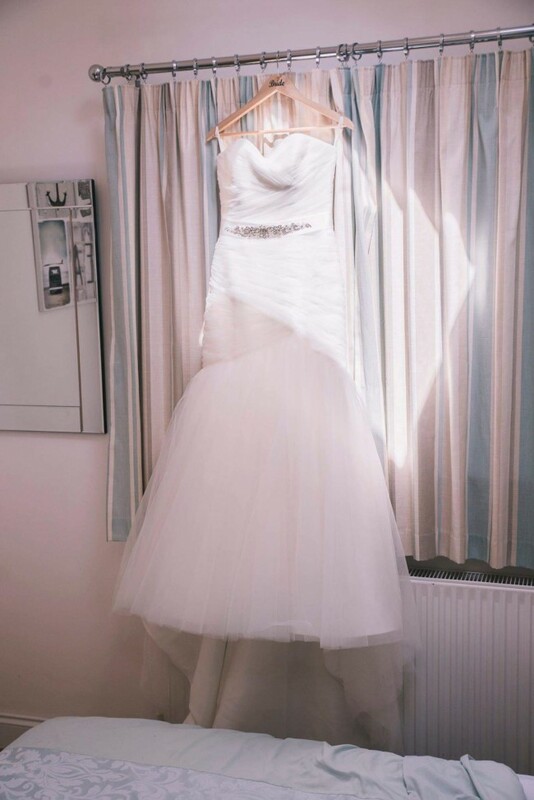 Selling my wedding dress - makes me very sad! This dress is a mori Lee 5108 in ivory (more an off white). It is a size 12 however I am a size 10 and it fitted me perfect. It has a corset back so I would say it would fit anywhere from a 10-14. Included with the dress is my under skirt, also the belt which I had attached. This can be removed if you don't like it/want to change it. I also have a finger tip two teir veil with a scallop edge. I am reluctant to sell this however would consider it as it matched the colour of the dress perfectly. No alterations other than the length. I was around 5ft 8 in my heels so had it adjusted to that. The dress has cost me £1400 excluding the veil and under skirt- have the receipts to prove. I haven't had it cleaned however there are no marks on the outside of the dress only the under layers which can't be seen, I'm sure these would wash out. Any questions feel free to message me and come and try on.